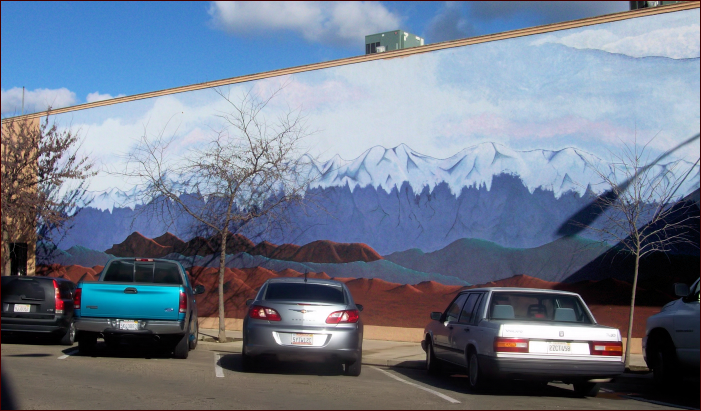 As you know by the pics I've posted of the snow capped mountains... in downtown, there is a mural of the mountains. After it had rained the other day, the sun came out... I was driving home and saw this cloud and it had such a glow, I took the pic just before the sun came out. 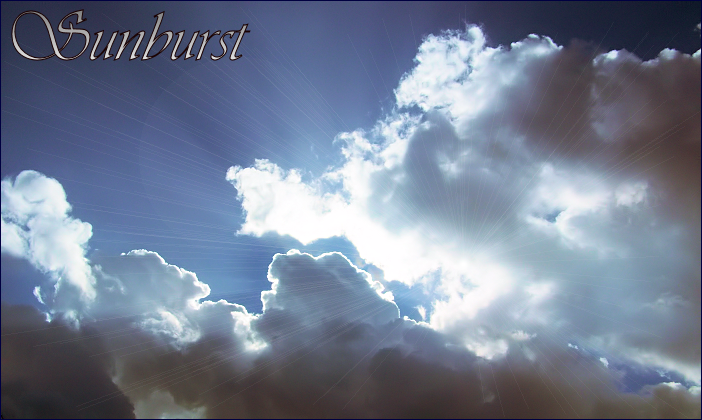 I did use photo-shop in this pic to add the sun rays. 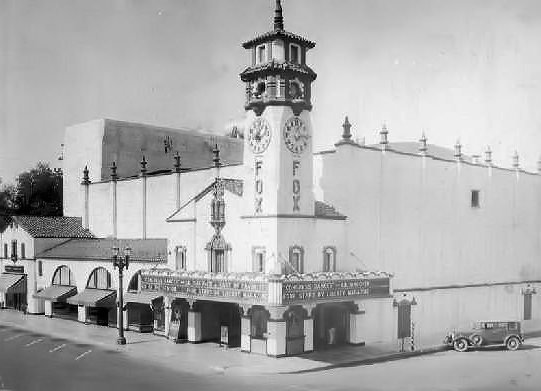 This is The Fox Theater. 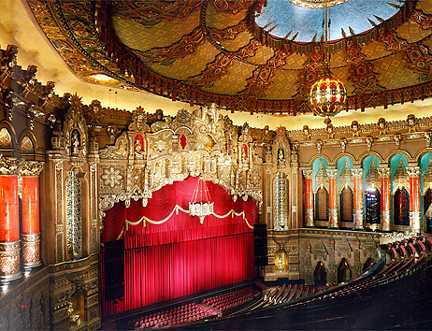 Opened in 1930 in the early days of "talking pictures," the theater was the grand showplace in town for over 40 years. 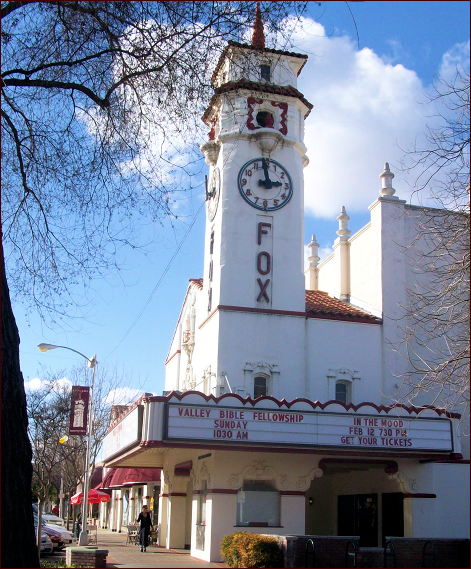 Going to the Fox was an unforgettable experience. 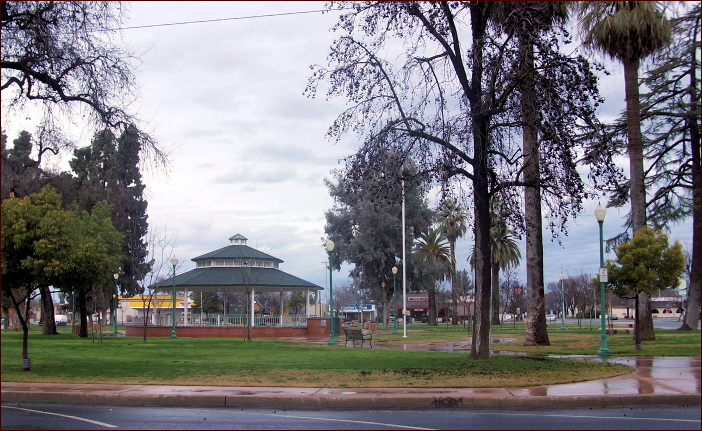 It let you leave the streets of Visalia behind to enter the garden court of an East Indian temple resplendent with wall murals, green trees, and of course, the unforgettable twinkling stars above. Detroit's FOX is where I saw the Little House musical. It was indeed a theater you don't forget visiting! I can't wait to take Bill back! I've been there to see Sesame Street Live many times, Amy. Beautiful pictures, Carol. Your California pics always bring some welcome color into this snow white world of mine. 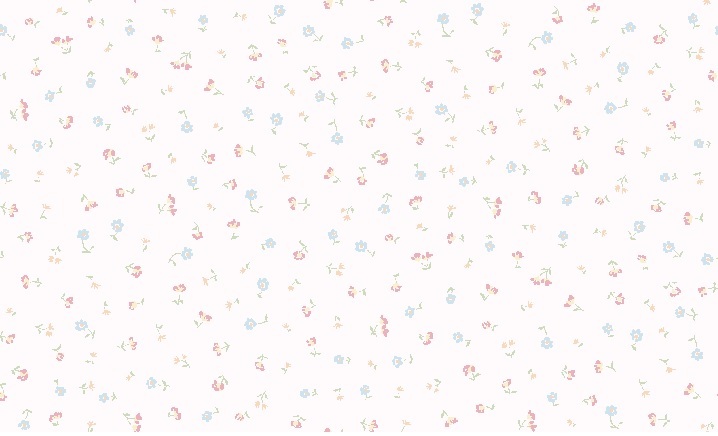 The pictures won't load for me right now, but I'll check back later. I always love to see your pictures, Carol.